Services – 3G Tech Ltd.
Risk is at present a commonly used criterion of safety assessment. 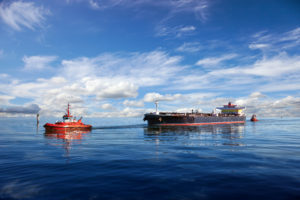 Navigational risk is a complex criterion of navigational safety assessment identify with a risk connected with the performance of certain maneuvers in a given area. We support organizations in their quest to find and implement innovative solutions, evaluation of navigation risk and safety in their transportation (open and restricted sea and inland waters), storage, personnel and security issues. 3G tech Ltd. has over the years been favored with instructions relating to highly specialized maritime projects. risk management – systems developing and implementation. In scientific domain 3G tech Ltd. is ready to perform safety of navigation analysis of any water region based on tenths of registered parameters of own and target ships’ in reference to the research area (among others: positions, SOG, COG, SOW, COW, heading, rate of turn, ship’s controls adjustments – propulsion devices, rudders, thrusters, tugs, anchors, mooring ropes, external excitations). We use the FMBS method which is capable of simulating and varying a total local environment, including capability for advanced maneuvering practice with required aids and providing optimum pilotage training in restricted waterways. 3G tech Ltd. offers a full range of scientific research works in waterway optimization, with the use of different methods for determination of interactions among a navigator, ship, water region, navigational marks, hydrometeorological and operational factors, in the environment as realistic as possible. 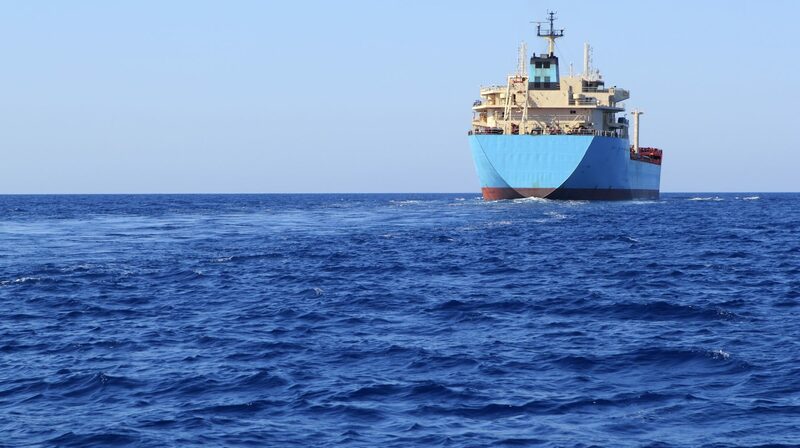 3G tech Ltd. offers complete marine GNSS positioning solutions that include hardware, software, and connectivity between the construction site and the main office of shipowners, maritime authorities and maritime services. Pilot support systems are part of our capabilities. Weather You need full scale charting application or just simple app – let us know, We might have the solution for You. 3G tech Ltd. provides the modeling of a ships maneuvering simulation models, which are a complex mathematical model of the behavior of a ship under the influences of a number of modeled parameters reflecting the environment in which it is operating. These modeled parameters extend to sea state, weather conditions, bathymetry and any other external influence that may affect the behavior of the vessel. Visualization of own ships, target ships and research areas are made in CAD environment, with the use of: Presagis Creator, FligthUtility, AutoCAD, Civil3D, Rhino3D, 3D Studio Max, Okino Polytrans and Adobe Photoshop software. Graphics models are designed on the basis of ship&area technical documentation and its photographs delivered by the Client or can be collected by our own. 3G tech Ltd. is an innovative service provider in the field of metalworking. Department excels in machining of demanding elements of steel and aluminum for various industries. Our offer includes locksmith services, assembly and welding. We operate in all areas of metalworking offering technologically advanced products and services. Our main operating area is series (both small and mid size production batches) manufacturing of components – mostly carbon steel, stainless steel, tool steel and aluminium alloys. High-qualified personnel allows us to fulfill quality expectations of customers for industry. transportation that gives flexibility and continuity of supply. 3G tech Ltd. offers a comprehensive range of rapid prototyping services that transform digital models into 3D prototypes via additive manufacturing technologies such as FDM, SLS, SLA and DMLS. Regardless of your industry, if you need to verify your designs, and need a cost-efficient model or prototype quickly, with or without a high-degree of accuracy or a well-defined finishing degree, then Rapid Prototyping could be exactly what you’re looking for. 3G tech Ltd. invites you to contact us to learn more. One of our experts would be happy to discuss your requirements and support you in finding the optimal solution for your needs. We believe that every design engineer should have easy access to design verification that matches reality. The 3G tech Ltd. meets the highest requirements because of the use of CNC technology and solutions in the area of automation. Thanks to CAD/CAM software, we are able to generate NC codes to machine parts containing very complicated surfaces. All this, make it possible to increase productivity and improvement of the technological parameters. Ongoing investments in machinery and high-precision allow us to perform complete and simultaneous machining of metals, including simple forms and extremely complicated elements. Highly efficient automatic lathes, milling and turning centers take care of the dynamic series production with minimal loading time at very reasonable prices. Laser cutting is the fastest and the most advanced fully automated system of processing various types of structural steels, acid-proof steels and aluminium. The laser cutting technology enables to cut all shapes, add auxiliary elements and engineering holes, engrave lines etc. We ensure production of high quality parts on the state-of-the-art laser cutter with maximized material usage and optimized cutting. We ensure end-to-end, swift and efficient processing of orders with short lead times. All commercial partners interested in cooperation are kindly invited to contact us. 3G tech Ltd. has the experienced staff to perform any 3D Scanning task. We measure and scan everything from small, highly detailed parts to complete vehicles. We even scan buildings, bridges, power plants and other large-scale objects. 3D scanning converts physical objects into precise digital models, enabling you to quickly and accurately capture your object’s shape and geometries. Using highly accurate, photo realistic 3D scan data generated with 3D scanning you are able to view as-built documentation in a virtual world. The data can also be surfaced to generate a CAD model which can be used for comparison or reconstruction. Virtual Reality (VR) and Mixed Reality (MR) systems open up the a new realm in imagining possibilities. This technology displays the computer-generated (CG) images within real-world environments, creating the sense that virtual objects actually exist. This all-new imaging technology is expected to be applied in a wide range of fields, from design and manufacturing to maritime, medical care, education, exhibition and entertainment. 3G tech Ltd. delivers the custom hardware and software systems to wide industry. 3G tech Ltd. products and services disrupt traditional methods, deliver improved results and empower its customers to manufacture the future now. 3G tech Ltd. is ready to conduct training courses of shiphandling and maneuvering in any sea areas (improving skills in handling a ship with emphasis on using engine(s), rudder(s), thrusters, azipod(s), Voith-Schneider in shallow waters, with wind and current effect and interaction with other ships and tugs). We also provide trainees to perform operations at the DP consoles in the same way as on real DP system installed onboard the DP vessel. In addition to basic DP operation the variety of different operational scenarios can be executed where the trainee has to face various operational problems and react to emergency situations.